This fall, OPI introduces a new Polished Quartz formula with two new semi-precious stone-inspired hues – DS Tourmaline and DS Titanium – to the Designer Series by OPI collection. Each Designer Series Polished Quartz nail lacquer features a semi-matte finish with intense three-dimensional sparkle. Designer Series by OPI offers a high-shine Top Coat and an assortment of 11 glistening shades, including the two new stunning additions: shimmery rose DS Tourmaline and glittery dark silver DS Titanium. DS Tourmaline and DS Titanium can be worn alone for a semi-matte look, or with DS Top Coat to give nails a high-shine finish. Designer Series by OPI nail lacquer shades each feature OPI’s exclusive ProWide™ Brush for the ultimate in application. DS Polished Quartz lacquers should be worn without Top Coat for a semi-matte finish. 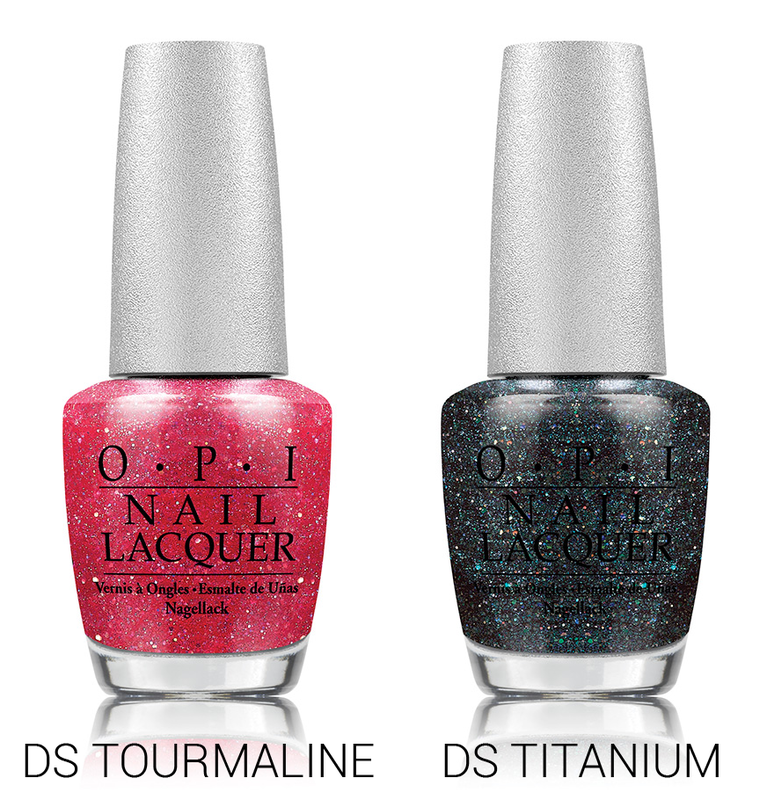 DS Tourmaline and DS Titanium will be available beginning September 3, 2014 at professional salons, including Beauty Brands, Chatters, Dillard’s, Regis, ULTA and ulta.com for $12.50 ($14.95 CAN) suggested retail for each nail lacquer.